Yesterday I was thinking about gender biases and sexism, and noticed that even though there are laws enforcing male-female equality and people are being taught not to be sexist, there is still a big number imbalance in terms of careers. Even now, fewer women than men reach powerful careers, and those that do continue to be paid less. This led me to wondering if there is an explanation that doesn’t rely on believing everything is sexist- obviously for me, that went straight to thinking of psychological reasons. And I think I might have found one based on a combination of psychological effects. 3) They won’t recognise when they are incompetent. Evidence of this has been found in many different areas of skill, with one of the most inflated being academia. 1) and 2) are shown by a study which found that 94% of college professors thought their work was “above average”. Also 2) and 3) are shown by another study where people scoring in the lowest 25% for humour and logic tests believed they were in the top 40% of test-takers. 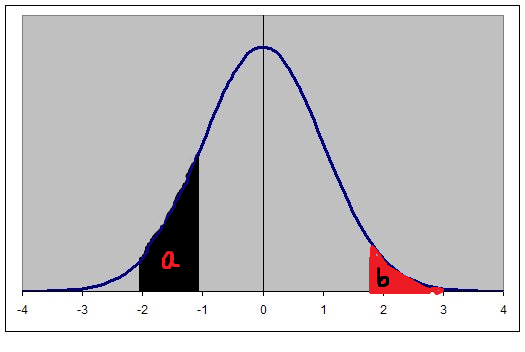 Basically, if you imagine a bell curve of skill, the people in section A (moderately low ability) would perceive themselves as being in section B (slightly above-above average ability), because they wouldn’t be able to recognise where their skill is lacking or where other people’s skill is stronger. 2) They over-estimate everyone else’s skills. 3) They won’t recognise when they are successful, only when they make a mistake. People with the Impostor Syndrome believe they are only successful due to luck or coincidence. They believe they are always going to be “found out” as worse than everyone else, and unmasked as frauds. Compared to the bell curve, it is the same as the people who are actually in section B believing they are in section A because they are biased towards weighting their mistakes so highly. Highly skilled male—-reaches a powerful position due to skill and an accurate perception of their ability. Low-skilled male—–reaches a middling position due to confidence and unawareness of his mistakes or other’s skill. Low-skilled female—will stay in a low-middling position that matches their ability. Highly skilled female–will usually stay in a middling position to avoid being “found out”, and are less likely to accept an offer of a higher position, due to their belief they cannot perform well. This creates an incompetency paradox, as a man with the Dunning-Kruger effect in competition with a woman with the Impostor Syndrome will both perceive the woman as being less skilled. So in theory, the man will have a higher chance of success even with lower skill. This maintains a gender imbalance, and makes it difficult for women to get to the higher levels of careers unless everyone is shown their actual ability realistically. It may be that the way to solve this problem is a more transparent education for employers and educators on how people recognise and evaluate their own performance.However, because this is an unconscious complex, it could be argued that people with the Dunning-Kruger effect are not consciously being sexist. Obviously, this idea is only going to be a fraction of the reason, as plenty of other psychological and social effects will be part of the problem. Also, both effects can be experienced by people of any gender- it may be that many more males than expected actually have the Imposter syndrome and are less likely to talk about it. Also, some research findings could be due to psychology’s own general male bias. Until recently, the majority of psychological studies were performed on solely-male groups. As a result, when different results were found in mixed-gender groups these were often assumed to reflect a female difference/deficiency. I like that it's not the guys fault. :L But if one was to expand this theory, you could argue that the impostor syndrome being so much more common in females is only because of a male-dominated society which has taught women to feel inferior? Young women see so many more successful males than successful females, and are exposed to so many chauvinistic viewpoints (both of which are inevitable), and as a result they subconsciously expect to do worse than their male co-workers? What I dig about your explanation (apart from the inspired ending) is that there is [paradoxical] pattern which society merely dance along with. Question: Does this mean that the 'Imposter Syndrome' is inescapable? I wouldn't say inescapable, as there are certain personality traits that make it less likely. Also, if people with the Imposter Syndrome were aware they had it, it might make it less pervasive. Although there could also be the side effect of them reading that it mainly affects successful women and believing they aren't successful enough to count, so I'm not sure what would happen really.